Ever wondered what goes on inside the process of 3D printing? In Hong Kong, a new government funded 3D printing gallery was recently opened on August 18, 2015. The gallery cost 12 million HK dollars (1.5 million USD), and it features 17 different 3D printers and 5 3D scanners to showcase different 3D printing technologies such as fused deposition modelling, stereolithography, selective laser sintering, and laminated object manufacturing. One of the main goals of the 3D printing gallery is to educate the general populace about 3D printing. Agnes Mak Tang Pik-yee (a leading brainchild of the gallery) stated that although 3D printing technology has been around for a number of years, it is not widespread in Hong Kong and that the gallery will attempt to change this with its informational displays. Functional services are offered by the gallery as well, meaning that visitors will be able to experience and use the 3D printers first hand. Chief Executive C.Y. Leung expressed hope that the gallery could help foster the growth of ‘innovation and technology” in Hong Kong, and that 3D printing would help make performing certain tasks more convenient for Hong Kongers. It is yet to be seen whether or not this gallery will be a success for the government. As of now though, the Hong Kong Association of Computer Education pledged to send its enrolled students to the gallery for learning purposes a day after the gallery opened. This leap forward in embracing 3D printing technology is nothing new for Hong Kong and China. A pelican in Dalian Zoo, Beijing, received a 3D printed beak earlier this month after it broke its organic beak in a fight. A new 3D printing facility also opened at Shanghai Children Medical Center this August, and the doctors there strive to use 3D printing to create accurate models of the patient’s organs. They can then use that technology to perform more precise surgeries. 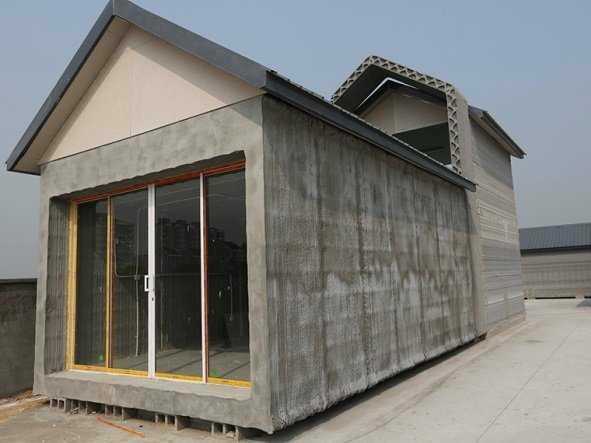 Lastly, the Chinese printing company WinSun has been 3D printing houses that live up to architecture safety standards starting from April of this year. WinSun hopes that 3D printing will make housing more affordable. With all the new advances in 3D printing, it is likely that we will see it used on a widespread scale in the near future.